Have you ever had a great idea that you just couldn't afford to make a reality? I am an artist and animation hobbyist. One day I had an idea to create a free web based app that will allow anyone to make animations, digital cartoons and stop motion style videos right from within the web browser. Thus ToonZoom.com was born. ToonZoom will allow anyone to make cartoons and other 2D animated shorts by turning your art into animated classics! See some EXAMPLES of mine. Try the web based Animator app. Have you ever wanted to learn animation but were discouraged by the high cost of animation software? ToonZoom aims to solve that! ToonZoom can also be used as an educational tool to teach or learn the basics of frame based animation. ToonZoom is %95 done but in order to finish and scale the app , more funds are needed. Funds are needed to allow for persistent audio storage and video storage. I also need funds to hire additional programmers to help me add features. While SVG vector graphics support exists in the app, I need to hire a programmer to make the drawing portion of the handle SVG . Other audio programming is needed as well. Your donations will help me afford to finish programming ToonZoom as well as help cover storage, hosting and additional costs. 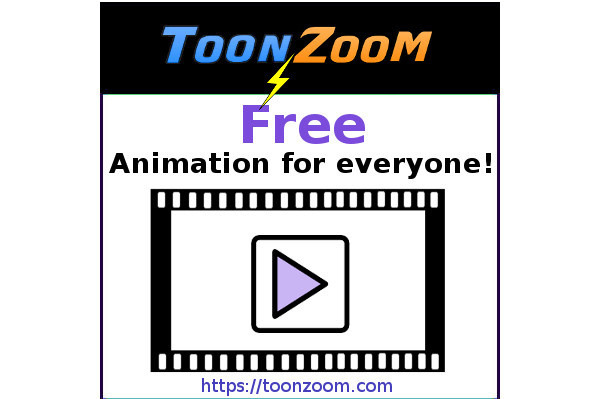 I really need your help to make this a reality and I'm super thankful to all the people who can help ToonZoom make a difference in the world by offering free animation software for everyone!